The perfect gift set at the perfect price! 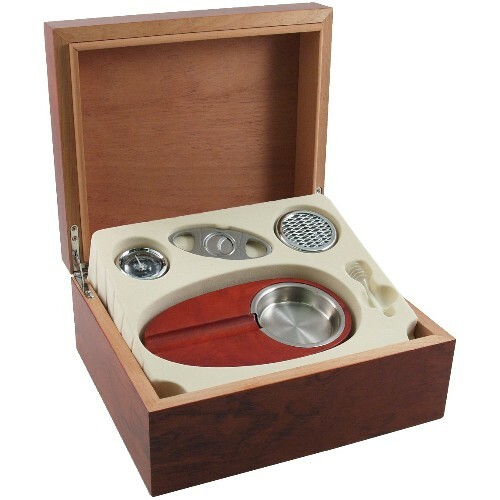 Get a matching ashtray and a stainless steel double guillotine cigar cutter with this value priced package! This is the perfect gift for the budding cigar aficionado in your life. 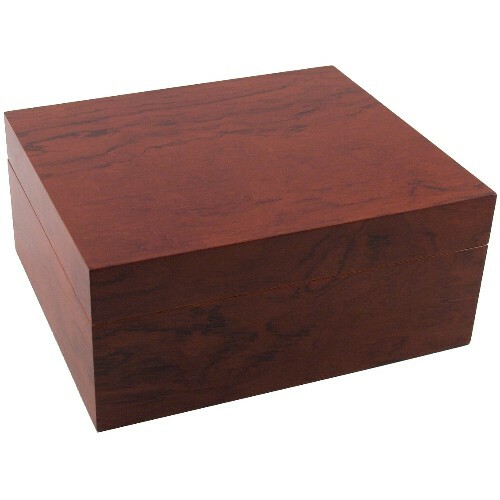 The humidor is large enough to accommodate 25 cigars, depending on size.